We are now including a VIRTUAL FLIP MAGAZINE subscription for viewing on your computer or any mobile device in our regular print magazine subscription. Platinum memberships are optional enhancements to your existing magazine account…. By purchasing a premium membership, you help support the Association and keep it alive and ongoing for everyone! Thanks so much for ‘boosting’ us for more than 40 years! For the Chrysler Hemi Enthusiast.. The National Hemi Owners was birthed in 1975 by a couple of college students at Michigan State… Popular Hot Rodding carried a letter and 12 responded. But they then went to work finding others and pretty soon Hemi Hunting was a household word in the NHOA… Thousands of cars were found and thousands more were resurrected. In 1978 the three year old National Hemi Owners Association had become so successful at developing, fulfilling and promoting Chrysler enthusiast parts, information and activities that non Hemi owners were openly encouraged to join and enjoy the benefits too. The new group spun off was named Mopar Muscle and its logo was the Plymouth “heart” of the late 60’s. The heart was symbolic of the spirit of the Chrysler enthusiast. Roland Osborne, founder, appointed Jim Tamm of American Racing Wheels and Dennis Huff as original directors. A short time later, Christina Grinius offered her gifts to the organization and during her watch until 1986 Mopar Muscle far surpassed all the other Mopar oriented clubs with many of the local and regional clubs and events very much still viable today. Chrysler’s reintroduction of the Hemi in 2002 has created a new generation of enthusiasts with brand loyalty surpassed by none of the other manufacturers. While this head is more a “poly” type head than true Hemi, its passion and performance is unequaled. Like the original NHOA, the modernstreethemi crowd needs reliable information, parts and applications activities. Inspired by the Modern Street Hemi Shootouts hosted by lxforums, the modernstreethemi.com organ is staffed by the most knowledgeable and enthusiastic Gen III engineers on the planet. 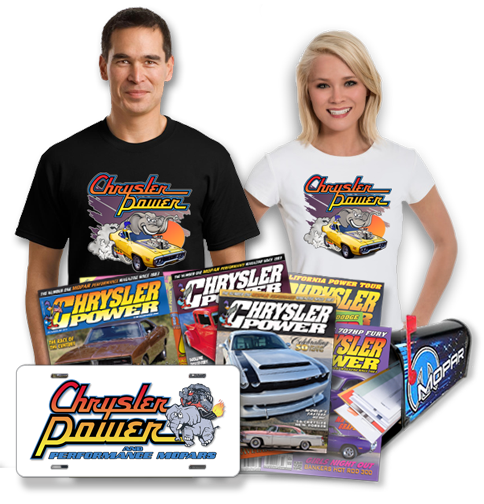 CPPA was founded in the late 70’s as a consortium of Chrysler enthusiast and Direct Connection businesses. The very first member was Ed Hamburger’s Performance, (known as SLP today), followed closely by Mancini Racing, Herb McCandless and then a myriad of Chrysler Plymouth Dodge dealerships and fresh startups like Legendary Interiors, (Mark Headrick) AMD, Ray Barton, A&A, Indy, Landy and so many more. The original ‘A’ engine, (aka Poly), was introduced in 1956 as a significant replacement for the Hemi of that era... Much more economical to produce but still having opposing valve placement ala the Hemi, it was a very strong performer from idle to 5000rpm, in contrast to the Hemi which performed well from 3000 to 7000+. The factory four barrel and two four barrel versions were the HOT setup and performed very well from idle thru 5500rpm..